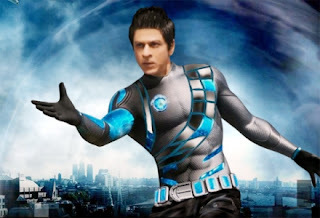 Shahrukh Khan’s dream project Ra.One is for everyone. Yes, that’s the nod given by the Censor Board. The film, slated to release on October 26, has been cleared by the board with a U (Universal viewing) certificate by the Central Board of Film Certification. The U certificate means that the film is suitable for viewing by viewers of all ages, including children. However, getting a U certificate wasn’t a cakewalk. Both Shahrukh Khan and director Anubhav Sinha were at the special screening of the film for the board. Some board members did object to the stunts that have Shahrukh Khan jumping from great heights. It was felt that some viewers might try to imitate that stunt. But after a meeting the board decided to clear the film, but on the condition that Shahrukh Khan will have to put a bold disclaimer at the start of the film that the stunts in the film are computer generated and should not be imitated by anyone.